By the fall of 1973, the American public was exhausted from the preceding decade of strife. The Vietnam War was winding down with the Paris peace talks; the draft was suspended, leaving little for the protestors to protest. Everything an adolescent found exciting in life seemed to have been swept away, leaving nothing to contemplate beyond a lifetime of boredom. Against this backdrop of disaffected youth, Susan MacAndrews leaves a sheltered life in suburban Palo Alto to attend San Francisco State University. Susan and her roommate, Natalie, become friends with Steve and Jerome, never suspecting the young menas association with the nascent Symbionese Liberation Army. 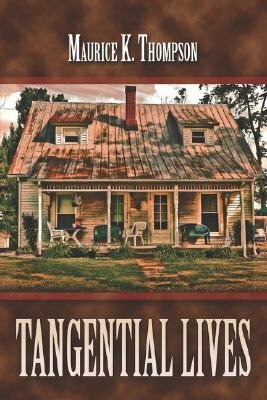 Tangential Lives traces the paths of each as they converge and diverge. For Susan, the consequences of poor choices are often humorous, but for Steve, the results are tragic after he participates in the kidnaping of Patty Hearst.